Edmund Leonard Thigpen (December 28, 1930 – January 13, 2010) was an American jazz drummer, best known for his work with the Oscar Peterson trio from 1959 to 1965. Thigpen also performed with the Billy Taylor trio from 1956 to 1959. Born in Chicago, Illinois, Thigpen was raised in Los Angeles and attended Thomas Jefferson High School, where Art Farmer, Dexter Gordon and Chico Hamilton also attended. After majoring in sociology at Los Angeles City College, Thigpen returned to East St. Louis for one year to pursue music while living with his father who had been playing with Andy Kirk's Clouds of Joy. His father, Ben Thigpen, was a drummer who played with Andy Kirk for sixteen years during the 1930s and 1940s. Thigpen first worked professionally in New York City with the Cootie Williams orchestra from 1951 to 1952 at the Savoy Ballroom. During this time he played with musicians such as Dinah Washington, Gil Mellé, Oscar Pettiford, Eddie Vinson, Paul Quinichette, Ernie Wilkins, Charlie Rouse, Lennie Tristano, Jutta Hipp, Johnny Hodges, Dorothy Ashby, Bud Powell, and Billy Taylor. In 1959 he replaced guitarist Herb Ellis in the Oscar Peterson Trio in Toronto, Ontario, Canada. In 1961 he recorded in Los Angeles, featuring on the Teddy Edwards–Howard McGhee Quintet album entitled Together Again for the Contemporary label with Phineas Newborn Jr. and Ray Brown. After leaving Peterson, Thigpen recorded the album Out of the Storm as a leader for Verve in 1966. He then went on to tour with Ella Fitzgerald from 1967 to 1972. 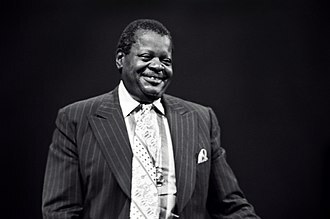 In 1974 Thigpen moved to Copenhagen, joining several other American jazz musicians who had settled in that city over the previous two decades. There he worked with fellow American expatriates, including Kenny Drew, Ernie Wilkins, Thad Jones, as well as leading Danish jazz musicians such as Svend Asmussen, Mads Vinding, Alex Riel and Niels-Henning Ørsted Pedersen. He also played with a variety of other leading musicians of the time, such as Clark Terry, Eddie "Lockjaw" Davis, Milt Jackson and Monty Alexander. Thigpen died peacefully after a brief period in Hvidovre Hospital in Copenhagen on January 13, 2010. He is buried at Vestre Kirkegård. 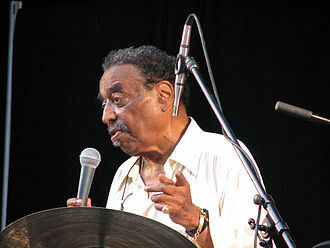 Thigpen was inducted into the Percussive Arts Society Hall of Fame in 2002. ^ Werner, Jesse (February 10, 2010). "Jazz drummer Ed Thigpen dies at 79". World Socialist Web Site. International Committee of the Fourth International. ^ Keepnews, Peter (January 26, 2010). "Ed Thigpen, Jazz Drummer, Dies at 79". The New York Times. p. B17. ^ Heckman, Don (January 15, 2010). "Ed Thigpen dies at 79; jazz drummer". Los Angeles Times. ^ Mattingly, Rick. "PAS Hall of Fame: Ed Thigpen". Percussive Arts Society. Retrieved March 1, 2014. Los Angeles City College, known as LACC, is a public community college in East Hollywood, Los Angeles, California. A part of the Los Angeles Community College District, it is located on Vermont Avenue south of Santa Monica Boulevard, the college offers a program known as The Theater Academy, a block program for students pursuing acting, technical side of theater, or costume design. LACC occupies the campus of the University of California, Los Angeles. One of nine separate college campuses of the Los Angeles Community College District, when the Pacific Electric Interurban Railroad connected downtown Los Angeles and Hollywood in 1909, the area began to develop rapidly. In 1914, the LA Board of Education moved the teachers Normal School to the site, the Italian Romanesque campus became what is now the University of California, Los Angeles in 1919. In need of space, UCLA moved to its present location in 1929. On September 9,1929, Los Angeles Junior College opened its doors for the first time with over 1,300 students and 54 teachers and it changed its name to Los Angeles City College. John Cornelius Johnny Hodges was an American alto saxophonist, best known for solo work with Duke Ellingtons big band. He played lead alto in the section for many years. Hodges was featured on saxophone, but refused to play soprano after 1946. He is considered one of the alto saxophone players of the big band era. Hodges started playing with Lloyd Scott, Sidney Bechet, Lucky Roberts, when Ellington wanted to expand his band in 1928, Ellingtons clarinet player Barney Bigard recommended Hodges. His playing became one of the voices of the Ellington orchestra. From 1951 to 1955, Hodges left the Duke to lead his own band, Hodges was born in Cambridge, Massachusetts, to John H. Hodges and Katie Swan Hodges, both originally from Virginia. Soon afterwards, the moved to Hammond Street in Boston, where he grew up with baritone saxophonist Harry Carney. His first instruments were drums and piano, while his mother was a skilled piano player, Hodges was mostly self-taught. Once he became good enough, he played the piano at dances in private homes for eight dollars an evening and he had taken up the soprano saxophone by his teens. It was around this time that Hodges developed the nickname Rabbit, in fact, Carney called him Rabbit because of his rabbit-like nibbling on lettuce and tomato sandwiches. When Hodges was 14, he saw Sidney Bechet play in Jimmy Coopers Black, Hodges sister got to know Bechet, which gave him the inspiration to introduce himself and play My Honeys Lovin Arms for Bechet. Bechet was impressed with his skill and encouraged him to keep on playing, Hodges built a name for himself in the Boston area before moving to New York in 1924. Hodges joined Duke Ellingtons orchestra in November 1928 and he was one of the prominent Ellington Band members who featured in Benny Goodmans 1938 Carnegie Hall concert. Goodman described Hodges as by far the greatest man on alto sax that I ever heard, Charlie Parker called him the Lily Pons of his instrument. Ellingtons practice of writing tunes specifically for members of his orchestra resulted in the Hodges specialties, Confab with Rab, Jeeps Blues, Sultry Sunset and his highly individualistic playing style, which featured the use of a wide vibrato and much sliding between slurred notes, was frequently imitated. Mitchell Herbert Herb Ellis was an American jazz guitarist. Born in Farmsville and raised in the suburbs of Dallas and this experience is said to have inspired him to take up the guitar. He became proficient on the instrument by the time he entered North Texas State University, Ellis majored in music, but because they did not yet have a guitar program at that time, he studied the string bass. Unfortunately, due to lack of funds, his days were short-lived. In 1941, Ellis dropped out of college and toured for six months with a band from the University of Kansas, in 1943, he joined Glen Gray and the Casa Loma Orchestra and it was with Grays band that he got his first recognition in the jazz magazines. After Grays band, Ellis joined the Jimmy Dorsey band where he played some of his first recorded solos, Ellis remained with Dorsey through 1947, traveling and recording extensively, and playing in dance halls and movie palaces. Then came a turnabout that would change Elliss career forever, then, as pianist Lou Carter told journalist Robert Dupuis in a 1996 interview, The Dorsey band had a six-week hole in the schedule. The three of us had played together some with the big band, John Frigo, who had already left the band, knew the owner of the Peter Stuyvesant Hotel in Buffalo. We went in there and stayed six months, and thats how the group the Soft Winds were born. 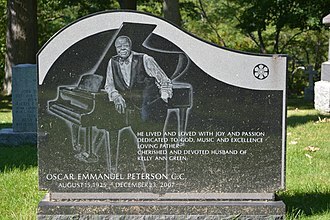 Together with Frigo and Lou Carter, Ellis wrote the jazz standard Detour Ahead. The Soft Winds group was fashioned after the Nat King Cole Trio, Ellis joined the Oscar Peterson Trio in 1953, forming what Scott Yanow would on refer to as one of the most memorable of all the piano and bass trios in jazz history. Ellis became prominent after performing with the Oscar Peterson Trio from 1953 to 1958 along with pianist Peterson and he was a somewhat controversial member of the trio, because he was the only white person in the group in a time when racism was still very much widespread. With drummer Buddy Rich, they were the band for popular comeback albums by the duet of Ella Fitzgerald. The trio were one of the mainstays of Granzs Jazz at the Philharmonic concerts as they swept the world, almost constantly touring the United States. William Billy Taylor was an American jazz pianist, composer and educator. Critic Leonard Feather once said, It is almost indisputable that Dr. Billy Taylor is the worlds foremost spokesman for jazz, Taylor was born in Greenville, North Carolina, but moved to Washington, D. C. when he was five years old. He grew up in a family and learned to play different instruments as a child, including guitar, drums. He was most successful at the piano, and had classical piano lessons with Henry Grant, Taylor made his first professional appearance playing keyboard at the age of 13 and was paid one dollar. Taylor attended Dunbar High School, the U. S. s first high school for African-American students and he went to Virginia State College and majored in sociology. Pianist Dr. Undine Smith Moore noticed young Taylors talent in piano and he changed his major to music, Taylor moved to New York City after graduation and started playing piano professionally from 1944, first with Ben Websters Quartet on New Yorks 52nd Street. The same night he joined Websters Quartet, he met Art Tatum, among the other musicians Taylor worked with was Machito and his mambo band, from whom he developed a love for Latin music. 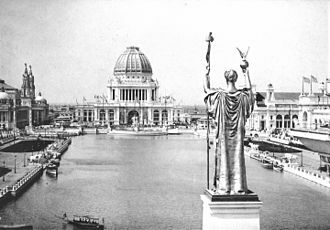 After an eight-month tour with the Don Redman Orchestra in Europe, Taylor stayed there with his wife Theodora and worked in Paris and the Netherlands. Taylor returned to New York that year and cooperated with Bob Wyatt and Sylvia Syms at the Royal Roost jazz club and Billie Holiday in a successful show called Holiday on Broadway. A year later, he became the house pianist at Birdland and performed with Charlie Parker, J. J. Johnson, Stan Getz, Dizzy Gillespie, Taylor played at Birdland longer than any other pianist in the history of the club. In 1949, Taylor published his first book, a textbook about bebop piano styles. In 1952 Taylor composed one of his most famous tunes, I Wish I Knew How It Would Feel to Be Free, nina Simone covered the song in her 1967 album Silk & Soul. The tune is known in the UK as a piano instrumental version. Danish jazz goes back to 1923 when Valdemar Eiberg formed a jazz orchestra and recorded what are thought to be the first Danish jazz records in August 1924. However, jazz in Denmark is typically first dated to 1925 and this was the first time most Danes had heard jazz music. Many of these played in Valdemar Eibergs band. Jazz went underground in 1940 as a result of the Nazi occupation of Denmark when jazz was discouraged by the regime. Nevertheless, it continued to be performed and recorded, even more so as Danish musicians began to fill the void created by the lack of foreign players touring through the area. Musicians such as Eiberg and Asmussen, along with Uffe Baadh, Bruno Henriksen, many singers, such as Freddy Albeck, Ingelise Rune, and Raquel Rastenni, found it necessary to escape to Sweden in the years of the occupation. In the early 1960s, a called the Jazzhus Montmartre opened in Copenhagen. 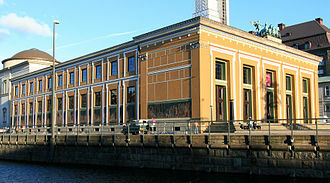 It became a venue for both Danish and American jazz musicians. Many American jazz players moved to Copenhagen from the 1950s when Stan Getz and they were followed by Dexter Gordon, Kenny Drew, and Ben Webster in the 1960s, and Duke Jordan, Horace Parlan, Ed Thigpen, Bob Rockwell, and Thad Jones in subsequent decades. Andrew Dewey Kirk was a jazz saxophonist and tubist best known as a bandleader of the Twelve Clouds of Joy, popular during the swing era. Kirk grew up in Denver, where he was tutored by Wilberforce Whiteman, Kirk started his musical career playing with George Morrisons band, but went on to join Terrence Holders Dark Clouds of Joy. In 1929 he was elected leader after Holder departed, renaming the band Clouds of Joy, Kirk relocated the band from Dallas, Texas, to Kansas City, Kansas. Although officially titled as the Clouds of Joy, the band has known to be called the Twelve Clouds of Joy due to the number of musicians in the band. They set up in the Pla-Mor Ballroom on the junction of 32nd and Main in Kansas City, Mary Lou Williams came in as pianist at the last moment, but she impressed Brunswicks Dave Kapp, so she became a regular member of the band. Kirk moved the band to Kansas City, and since their first recordings in 1929–1930, in mid-1936, he was signed to Decca and made scores of popular records until 1946. Svend Asmussen was a jazz violinist from Denmark, known as The Fiddling Viking. A Swing style virtuoso, he played and recorded many of the greats of Jazz, including Duke Ellington, Benny Goodman. He played publicly until 2010 when he had a blood clot, at the age of 100, he died on 7 February 2017. Asmussen was born in Copenhagen, raised in a musical family, at age 16 he first heard recordings by jazz violin great Joe Venuti and began to emulate his style. He started working professionally as a violinist and singer at age 17, early in his career he worked in Denmark and on cruise ships with artists such as Josephine Baker and Fats Waller. Asmussen was influenced by Stuff Smith, whom he met in Denmark. Asmussen played with Valdemar Eiberg and Kjeld Bonfils during World War II, during which time jazz had moved to the underground, in the late 1950s, Asmussen formed the trio Swe-Danes with singer Alice Babs and guitarist Ulrik Neumann. The group became popular in Scandinavia for their music hall style entertainment. Asmussen worked with Benny Goodman, Lionel Hampton, and Duke Ellington, Asmussen was invited by Ellington to play on his Jazz Violin Session recording in 1963 with Stéphane Grappelli and Ray Nance. In 1966 Asmussen appeared alongside Grappelli, Stuff Smith, and Jean-Luc Ponty in a jazz Violin Summit in Switzerland that was issued as a live recording. He made an appearance at the 1967 Monterey Jazz Festival, which included a celebrated violin summit with him, Ray Nance, in 1969 he guested on Snakes in a Hole, an album by the jazz-rock band Made in Sweden. He was still active playing violin at the age of 94 and he turned 100 in February 2016. A few weeks before Asmussen would have turned 101, on 7 February 2017, asmussens collection of jazz music, photographs and other material is held in the jazz collections at the University Library of Southern Denmark. Asmussens son, Claus Asmussen, is a player in Denmark. 1951, Svend Asmussen 1953, Plays Hot Fiddle 1955, Svend Asmussen And His Unmelancholy Danes 1955, Svend Asmussen And His Unmelancholy Danes, Vol.21955, Skol. The Savoy Ballroom was a large ballroom for music and public dancing located at 596 Lenox Avenue, between 140th and 141st Streets in the Harlem neighborhood of Manhattan, New York City. Lenox Avenue was the main thoroughfare through upper Harlem, poet Langston Hughes calls it the Heartbeat of Harlem in Juke Box Love Song, and he set his work Lenox Avenue, Midnight on the legendary street. The Savoy was one of many Harlem hot spots along Lenox and it was opened and owned by white entrepreneur Jay Faggen and Jewish businessman Moe Gale. It was managed by African-American business man and civic leader Charles Buchanan, the Savoy was modeled after Faggens downtown venue, Roseland Ballroom. The Roseland was a swanky, mostly white swing dance club. 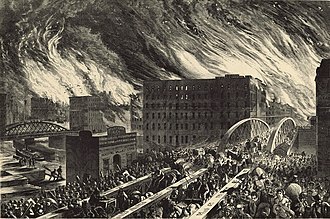 The Savoys ballroom, which was 10,000 square feet in size, was on the second floor and it could hold up to 4,000 people. The interior was painted pink and the walls were mirrored. Colored lights danced on the sprung layered wood floor, in 1926, the Savoy contained a spacious lobby framing a huge, cut-glass chandelier and marble staircase. Leon James is quoted in Jazz Dance as saying My first impression was that I had stepped into another world, I had been to other ballrooms, but this was different – much bigger, more glamour, real class. The Savoy was extremely popular from the start, a headline from the New York Age March 20,1926, reads Savoy Turns 2,000 Away On Opening Night – Crowds Pack Ball Room All Week. The ballroom did not go dark a single night of the week, the Savoy was unique in having the constant presence of a skilled elite of the best Lindy Hoppers, known as Savoy Lindy Hoppers. Occasionally, groups of dancers such Whiteys Lindy Hoppers turned professional and performed in Broadway, Whitey turned out to be quite a successful agent, and in 1937, the Marx Brothers movie A Day at the Races featured the group. Herbert White was a bouncer at the Savoy who was made manager in the early 30s. He was sometimes known as Mac, but with his ambition to scout dancers at the ballroom to form his own group and he looked for dancers who were young, and, most of all, they had to have a beat, they had to swing. 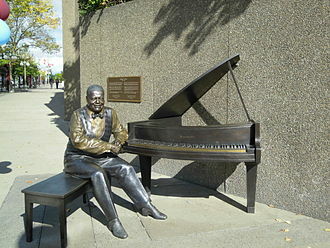 Statue of Oscar Peterson was unveiled by Queen Elizabeth II at the National Arts Centre in Ottawa in June 2010. Eddie Vinson in May 1980. Vinson as the leader of his own band, circa mid-1940s - mid-1950s. In performance: Hodges with Ellington, Frankfurt, Germany, February 6, 1965. Svend Asmussen with The Swe-Danes in 1961, including with Alice Babs central and Ulrik Neumann to the right.